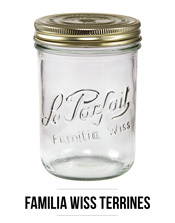 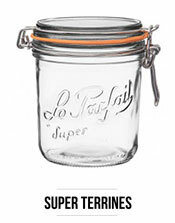 Le Parfait Canning Jars Wholesale Selection | Down to Earth Distributors, Inc. 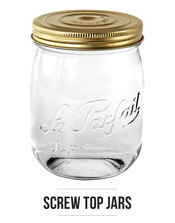 Le Parfait canning and storage jars and terrines available from Down To Earth Distributors, as the exclusive stocking distributor in North America. 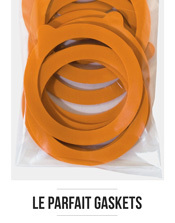 Available in five styles and 28 sizes, including the new 80 gram Le Parfait Super Terrine. 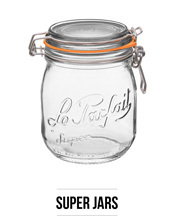 Designed for both home and commercial use. 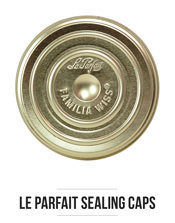 Made in France from virgin raw materials for highest clarity and quality.